Dental extraction is when pulling a tooth becomes necessary. 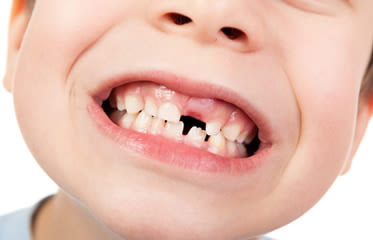 Once baby teeth have fallen out, adult teeth are supposed to last for the rest of our lives. However, there are times when dental extraction is necessary. For example: tooth decay or infection that cannot be controlled by antibiotics, trauma to the tooth, impacted wisdom teeth, crowded teeth and gum disease. In preparation for a tooth extraction, the dentist at Simi Valley will most likely have an x-ray performed. Your medical history and any medications you are currently taking will be reviewed in order to avoid any possible complications. Your dentist will discuss possible antibiotics that you may need to take following the extraction. How are dental extractions done? Our dentist in Simi Valley, Dr. Muradian, generally uses local anesthetics to provide you with a painless as possible procedure. The next step is to widen the socket the hole your tooth is in. In some cases, the gum will have to be cut away for the extraction to take place. This helps the tooth come out with more ease. Dr. Muradian will irrigate the socket and give you gauze to bite down on. Some times stitches will be used to close the hole caused by the dental extraction. We promote patient comfort at our office so the appropriate sedation method is used in order to the procedure to be completed peacefully. If you are in pain due to the tooth or teeth that were pulled, do not hesitate to call your dentist at Simi Valley. They will take care of your needs quickly and thoroughly. Contact us today for more information!